American Standard and Deluxe Stratocaster guitars are looking similar as wood constructions, but their wirings are the two different stories. Let's look closer at them. 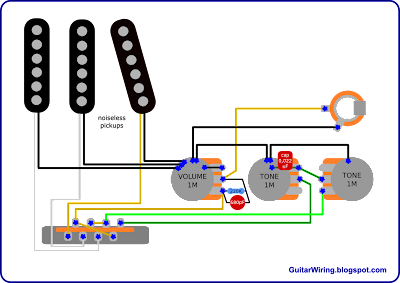 This guitar wiring presents the common way of modern Fender Strat electronics. There are three 250K pots: one volume and two tone. The first tone pot is for the neck pickup. The second is used to control the bridge and the middle coil. The tone cap has got 0,022uF. The guitar is equipped with the American Strat Single-Coil pickups. The American Deluxe Stratocaster guitar has got three 1M pots. Their functions are the same like in the Standard version. The tone pot also has 0,022uF. 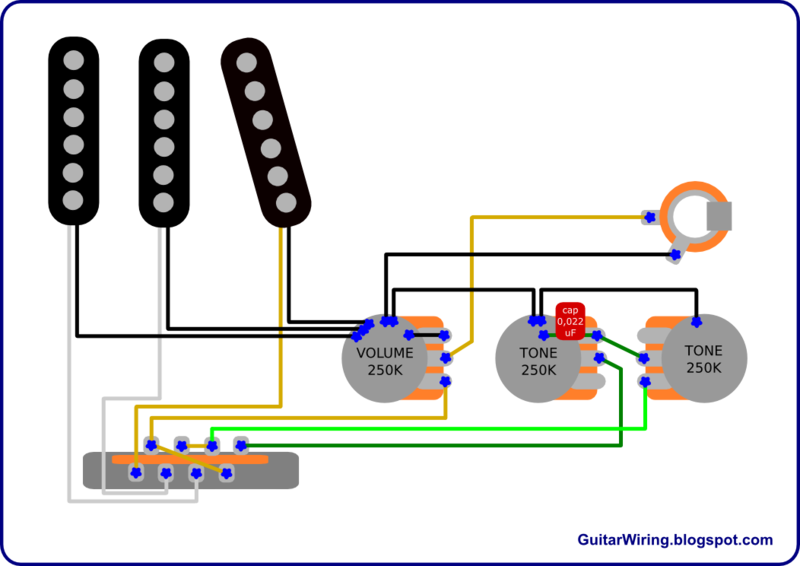 There is the treble bleed prevention circuit, connected to the volume pot. It's based on the resistor and the capacitor in parallel. The American Deluxe Strat guitar has got Vintage Noiseless pickups (today's version: Noiseless N3 Strat). By analysing these two diagrams, you can learn the basic meaning of the pot values and treble bleed prevention in a guitar wiring. I will omit the difference between the pickup types. Let's focus on the rest of guitar electronics. Basically, the American Deluxe will be the brighter sounding instrument. It's because of the 1M pots. The difference caused by them will be significant. With the brightness, we will get also a little bit more dynamic and crispness. American Standard Strat guitar don't have a treble bleed prevention circuit and its volume control is based on the 250K pot. It means, that we will be able to make a swell effect and take off a little bit of treble, by turning down the knob. In the Deluxe version, we will not get this function, but the volume control will be working more linear, with less treble bleeding.